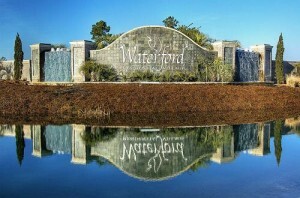 Waterford 5K & Fun Run – November 19, 2011 | NC Race Timing and Running Events | Go Time! The Waterford 5k and Kids Fun Run is designed in mind with both racers looking to PR and first timers looking for a fun race in a friendly atmosphere. The big draw is the course. Pancake flat with no tight turns on neighborhood streets with plenty of views of what makes Waterford – Waterford – the water. Proceeds from this event will benefit the Hope Harbor House, an organization that is a safe harbor for domestic violence victims. Times will be recorded using the sate of the art Go Time! Jaguar Disposable Bib System.